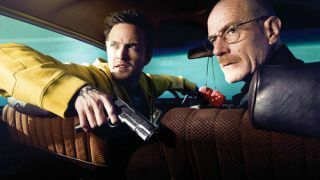 Netflix expands 4K content library with complete Breaking Bad | What Hi-Fi? Netflix has announced that all 62 episodes of award-winning drama Breaking Bad can be viewed in Ultra HD 4K, thanks to collaboration between the service and Sony Pictures Entertainment. In a blog post announcing the move, Netflix VP for digital supply chain Kevin McEntee revealed that the "4K experience" is now available on select LG, Sony and Samsung smart TVs. Sony Pictures Entertainment remastered the episodes from the original film negatives, underlining a collaboration between the two companies to "modernise the digital supply chain". Netflix and Sony have both agreed on an Interoperable Master Format – an "emerging" specification that governs file formats and metadata for digital media storage and B2B exchange. The hope is that this format (IMF), which outlines various components, will lead to greater efficiency, accuracy and scale of the global digital supply chain between studios and streaming services. McEntee said: "At Netflix, we are excited about IMF and we are committing significant R&D efforts towards adopting IMF for content ingestion." The five Breaking Bad series now join season two of House of Cards and Moving Art documentaries available in 4K internationally, while films such as Smurfs 2 has joined the US 4K movie roster. Not only that, but a recent update to Netflix has seen the service take on a fresh new look (above), with a new lighter, brighter interface and a refined corporate logo.